Return Policy - Items may be returned if still in it's original condition / packaging within 15 days of when you receive your order. Returns received after 15 days will be returned for store credit only, and may be subject to a 20% restocking fee on the price of the item(s). We do not accept returns on Sale Items, Jewelry (unless received damaged), Sunglasses, Cosmetics, I.D. Cases, custom and create it yourself orders. Shipping and Handling Fees will not be refunded in any instance. If you use a coupon for free shipping and you return the item/items upon receiving your refund, you will be charged a shipping charge since we shipped the items to you. Exchanges are FREE. If you order the incorrect size, etc... we will ship your exchange free of charge. Quick and Easy Returns. Legal Notice - All notices from Girlz Lyfe to You may be posted on our Web site and will be deemed delivered within thirty (30) days after posting. Notices from You to Girlz Lyfe shall be made either by e-mail, sent to the address we provide on our Web site, or first class mail to our address at ( we will have a new address soon, so please email us for returns ). Copyright - All content appearing on this Web site is the property of: Girlz Lyfe Copyright © 2008 Girlz Lyfe. All rights reserved. As a user, you are authorized only to view, copy, print, and distribute documents on this Web site so long as (1) the document is used for informational purposes only, and (2) any copy of the document (or portion thereof) includes the following copyright notice: Copyright © 2008 Girlz Lyfe. All rights reserved. Trademarks - All brand, product, service, and process names appearing on this Web site are trademarks of their respective holders. Reference to or use of a product, service, or process does not imply recommendation, approval, affiliation, or sponsorship of that product, service, or process by Girlz Lyfe. Nothing contained herein shall be construed as conferring by implication, estoppel, or otherwise any license or right under any patent, copyright, trademark, or other intellectual property right of Girlz Lyfe or any third party, except as expressly granted herein. We ship all over the world and provide FLAT RATE SHIPPING (up to 2 pounds or 1 kilo) via USPS. Free Shipping is eligible for International customers who spend $100 or more. Standard Shipping does NOT provide you with a tracking number and can take up to 60 days to receive. 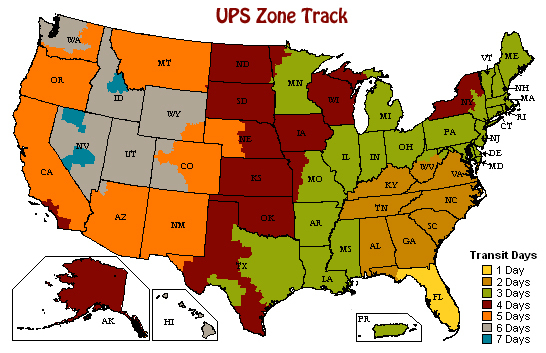 Priority and Express Shipping DOES provide you with a tracking number for your shipment. We highly recommened that you select either one of these 2 options (priority or express) which allows tracking of your package via USPS.com. We are not responsible for any Customs Charges that your country might require you to pay. Not all countries have custom charges.